Plaques erected at the spots where two time capsules were buried to commemorate the 125th anniversary of the gazettal of Broome townsite in 1883. 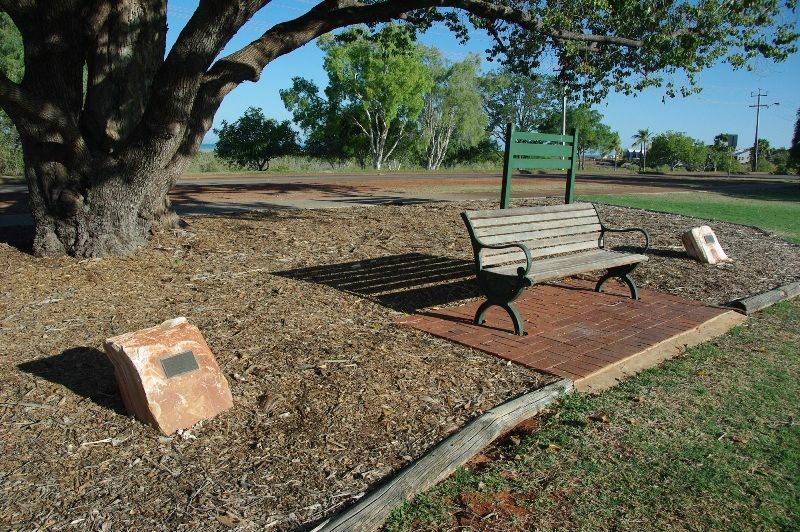 One time capsule buried by Mr Kim Male, Freeman of the Municipality of Broome is to be opened in 2083. 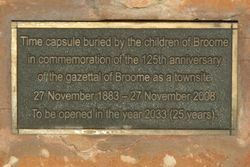 The other buried by the children of Broome is to be opened in 2033. 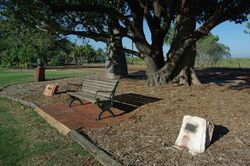 In 1883, John Forrest selected the site for the town, and it was named after Sir Frederick Broome, the Governor of Western Australia from 1883 to 1889. Broome was gazetted as a townsite on the 27th November 1883. 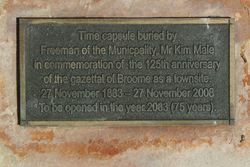 Time capsule buried by Freeman of the Municipality Mr Kim Male in commemoration of the 125th anniversary of the gazettal of Broome as a townsite.